There’s some chatter online about the new product from Launch which is definitely worth some consideration. It’s the new addition to their OE level tools, and the Launch X431 Pad – or X431 Euro Pad – looks like a real innovation in diagnostic equipment. Launch Tech has adopted the performance and usability of tablet computing with this new piece of kit, making it one of the most user-friendly and accessible they have produced. 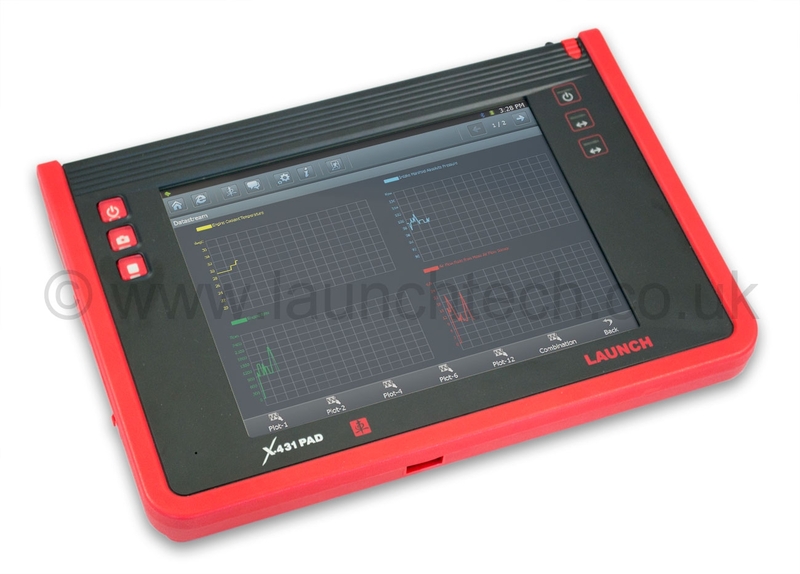 Of course, being a Launch X431 product, it is the result of more than twenty years’ experience in vehicle diagnostics and displays all of the high performance functionality which has made their previous X431 tools so popular. What’s Included with the X431 Pad? The X431 Pad is delivered as a complete kit with all cables and connectors in a convenient heavy-duty carry case. 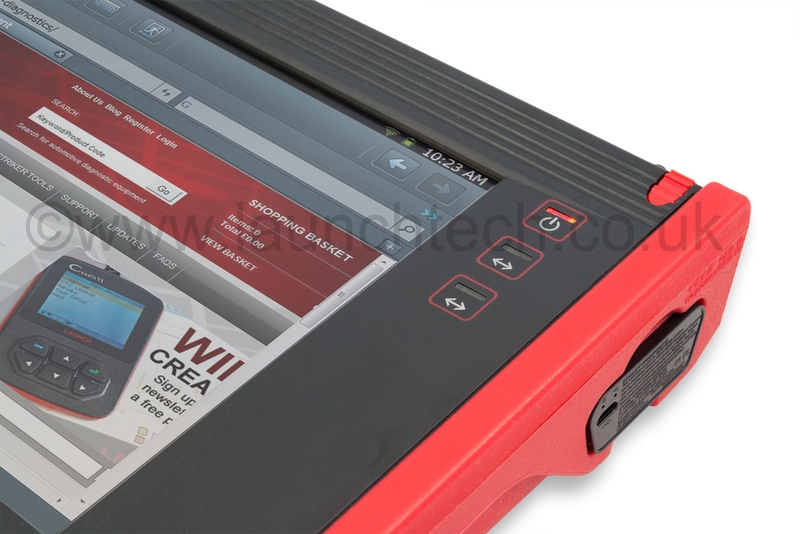 Its integral features include the thermal printer and live streaming capabilities found on the X431 GDS alongside some new additions such as the 9.7” 1024 x 768 LCD touch screen and 1.3 mega pixel reverse-facing camera. The camera, which can shoot video as well as take photographs, really comes into its own when using the Pad with MENS (Multi-Euro Networking System) – one of the real innovations in this new product. What is the Multi-Euro Networking System? The X431 Pad is a completely wireless piece of equipment. It can connect to the internet and to the Launch server through a VPN, and it has a Windows 7 operating system for ease of use – this really is just like a tablet computer. Through this connection, MENS allows you to communicate with other X431 Pad users all over the world. You can share real-time information, screenshots of your live data streams, photographs and video from the camera, and get assistance all through the cloud-based system. 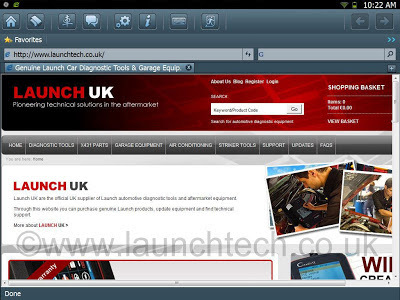 Other users or brand specialists can offer help and advice where needed and users can become a paid technician by advertising services through the network. Are there any extra capabilities for the X431 Pad? This innovative piece of kit is designed for professionals, and is made to be flexible to suit different diagnosticians’ needs. 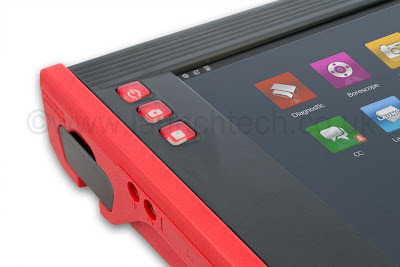 Optional modules available for the Pad expand on its capabilities and include a four-channel oscilloscope with ignition analysis, a sensor tester and simulator, a battery test with print-out, and a bore scope. This new release from Launch Tech looks very exciting and we’d be keen to get a closer look at what it can do. For more information and photos, check out the official Launch UK website. If you have had any personal experience of the new Launch X431 Pad leave us a comment below. There aren’t many reviews for this product out there yet so it’d be great to get some opinions on it. This blog is in no way affiliated with or endorsed by Peugeot Motor Company PLC. This blog is purely intended as a provider of news and information and should not be considered an official entity of Peugeot Motor Company PLC. Copyright PugAddicts 2013. Powered by Blogger.